NB: Proffered for Friday's Forgotten Books, 21/11/14. 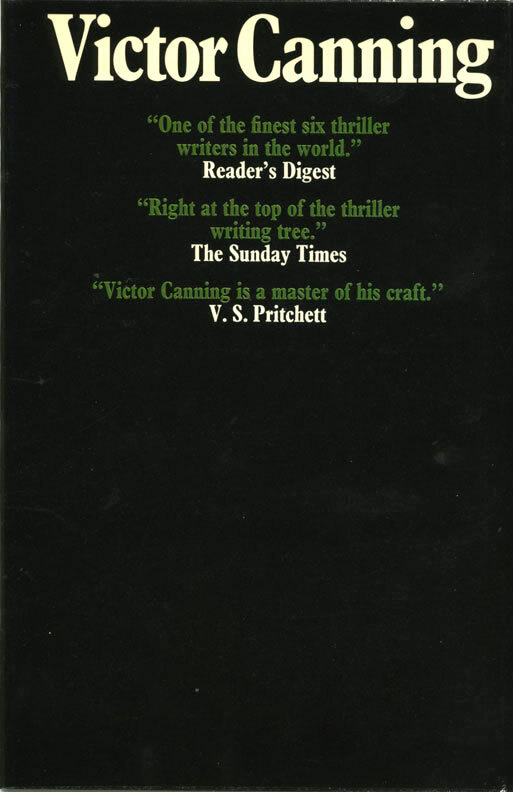 The Finger of Saturn is a book I touched on during my run of posts on author Victor Canning in August, in relation to the "Birdcage" series of spy novels Canning published from 1971–1985. 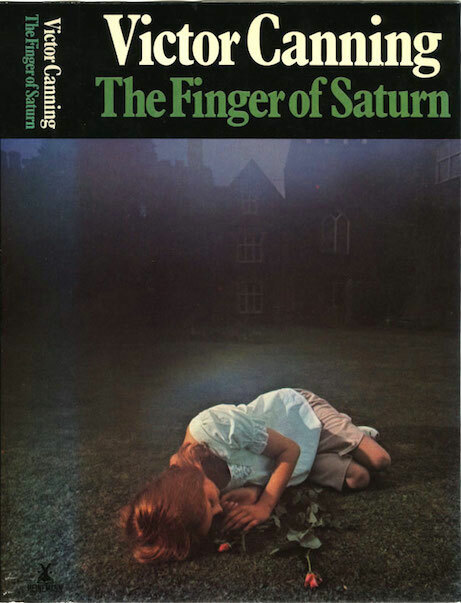 The Finger of Saturn isn't a Birdcage novel, but as Canning aficionado John Higgins points out in his overview of the Birdcage books, in common with them it does feature "malign civil servants", which is why I decided to make it my next Canning read after The Rainbird Pattern (1972). 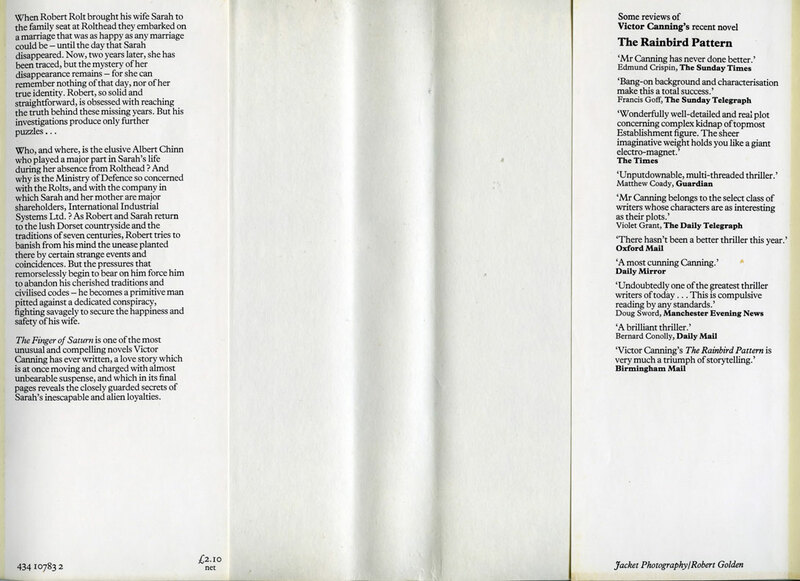 Published by Heinemann in 1973 under a dust jacket bearing an evocative photo by Robert Golden (a jacket which is also to be found, naturally, in the Existential Ennui British Thriller Book Cover Design of the 1970s and 1980s gallery), The Finger of Saturn nestles in between the second Birdcage book, the aforementioned The Rainbird Pattern, and the third one, The Mask of Memory (1974), in Canning's backlist (his adult readers backlist, that is; his "Smiler" trilogy for younger readers was also published around the same period). Unlike those novels, however, and unusually for Canning, The Finger of Saturn is narrated in the first person, in this instance by Robert Rolt, English country squire, master of stately pile Rolthead (! ), and all-round colossal arse. As a member of the landed gentry who gets mixed up in a thriller plot, Rolt is firmly in the tradition of Raymond Ingelram from Geoffrey Household's Rogue Male (1939, as well as its sequel, Rogue Justice, 1982, which is where we learn Ingelram's name) or Philip from Michael Gilbert's Be Shot for Sixpence (1956), except with less of the former's tactical cunning and rustic know-how and more of the latter's pigheaded persistence and abrasive nature. Rolt blunders and blusters his way through the book like the "stiff-necked, pugnacious, irascible, and impetuous" type he's identified as by a family friend, irritably attempting to get to the bottom of a highly personal mystery: the disappearance of his wife, and her reappearance some years later under another name and with no memory of her former life. In this he's assisted, or, more accurately, directed by a succession of shadowy Whitehall types – not Birdcage, but not far off: their agenda is similarly underhand, they're MOD-linked, and they're based on Northumberland Avenue, a couple of streets away from Birdcage Walk. Who it is who ultimately directs these civil servants, however, and what their agenda is, lies at the heart of the mystery, and it's here that the novel may lose some (and possibly gain others), because in the explaining the story crosses over from the realms of espionage and subterfuge to that of science fiction. I shan't reveal any more, except to note that the title of the book, which refers to the shortened middle finger of Rolt's wife's left hand – a genetic quirk borne by some of the women in her line (it skips a generation) – points to the explanation (if you'll excuse the pun). Still, even if the SF/supernatural elements prove hard to take, there's plenty to admire about the novel, not least the subtle bits of characterisation Canning deploys – for instance a nameless biscuit-munching non-governmental panjandrum who suffers from stomach ulcers, "The accolade for tireless endeavour in the struggle to keep one's head well above water," as he puts it to Rolt: "Every four hours, milk and biscuits" – the kind of small character quirk which helps to ground otherwise slightly fantastical scenarios. And then there's Rolt himself: a winningly acerbic creation, perpetually pissed-off, not especially clever, but tremendous fun nevertheless. For me Rolt makes the book (Rolthead!) 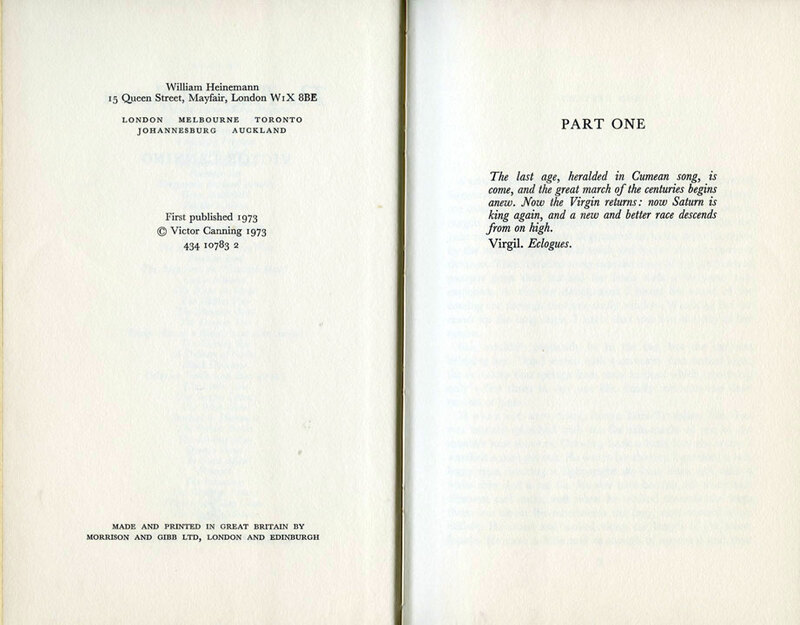 – a book which novelist and biographer (of, among others, Jeffrey Bernard) Graham Lord (writing contemporaneously in The Sunday Express) called "A marvellously entertaining story of love and hate, of morality and evil, that I found impossible to abandon", and which for spy novelist Anthony Price (in his Oxford Mail reviewer guise) "Mr Canning has never written better". And who am I to dissent from those two venerable gents? And since I'm on the subject of Victor Canning, I think I'll return to his Birdcage novels for my next post. This is one of the Canning books I've always wanted to read for exactly the reasons you find hard to take - the bizarre/supernatural aspect. Thanks for this enticing, well done review and for reminding me I have a pile of Canning books I need to dig into. Have you read THE PYTHON PROJECT? I guess it's more in the line of a detective novel rather than espionage/adventure which is your taste. It's a Canning I have in one of my many TBR piles and a book I was supposed to read this summer. Distractions, distractions. Thank you for the kind words, John. I knew going in that there were 'incredible' elements to the book, and I have to say I didn't buy into those in the same way that I did the shadowy Whitehall stuff, but I did like the book. Haven't read The Python Project yet – or even procured a copy – but it's one that John Higgins recommends; he reckons it's the best of the Rex Carvers, and apparently there is a more benign version of Birdcage in it. Really looking forward to this one as I picked a copy of the same edition a few months ago, drawn to the amnesia aspects which are a firm favourite with me - thanks Nick.